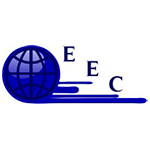 As a Europe-wide evaluation company EEC has to deal with a wide variety of European projects simultaneously, monitoring workflow, assessing output, and appraising impact. Different projects – and project managers – have different partnership structures, approaches and ways of working. AdminProject enables us to keep our ‘eyes on the ball’ of all these disparate entities in a most structured way that offers the user the right amount of flexibility to enable the work to be done effectively. The overall structure and detail of the PMS is regularly reviewed and updated to maximise its functionality, and the support provided by Danmar in the rare event of a query is second to none. There is no doubt that our productivity has been enhanced by EEC being a power user of AdminProject.